This year they changed the date to the fall in the hopes of cooler weather. October in Texas is still warm, but it’s closer to harvest. So, it should be interesting to see if the vintners present new wines or yearlings. 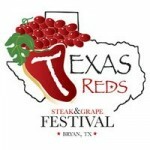 The Texas Reds Steak and Grape Festival is October 7-8, 2011, in Downtown Bryan, Texas. A new twist this year: general admission is $4 or $5. They’ll have the event gated so they know who paid and who didn’t. The rational? To make up for the revenue they’ll loose for the two days. Seriously? I find it hard to believe that the City of Bryan makes $50,000+ in two days from the 5 square blocks of downtown where the event is being held. I may not go just on principle. It seems like each year about this time my mouth starts watering for steak and wine. Actually, I seem to yearn for them earlier and earlier each year. Last years’ Steak & Grape was good but very crowded. 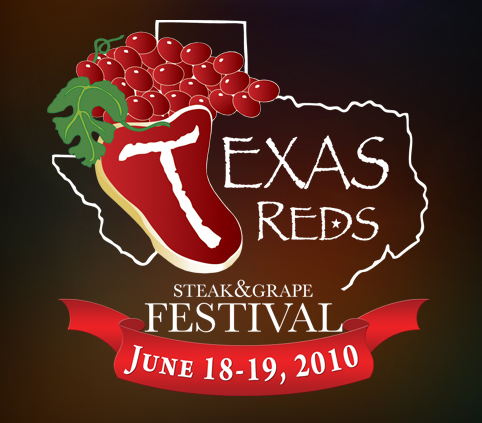 This year, the Texas Steak and Grape Festival celebrates it 4th anniversary, June 18-19. They also have a spiffy new (WordPress) Web site, and I think the City of Bryan is sponsoring it; they’re hosting the site. I may be out of town that week so I don’t know if I’ll make it to the festival. I’ll just have to have some steak and grapes in honor of the festival somewhere else. It’s that time of year again. Now that kids are out of school and people are looking for things to do with the family it’s time to drink wine and eat steak. 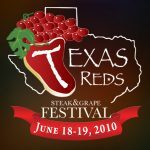 This year it is the third annual Texas Reds Steak & Grape Festival. The main events happen June 20. Last year’s events were good by Bryan standards. It was hot, humid and not much more to do than sample wine and eat meat. Only in Texas (well maybe elsewhere too) do they celebrate the Steak and the Grape – at one setting. What more could a Texan ask for – fine cut of beef and a fine wine to wash it down. This is the second annual Texas Red’s Steak and Grape Festival and it promises to be fine time of wine and cooked cow.